Words like ‘legend’ and phrases like, ‘set the standard’ are often overused when critiquing music—even by people like me. While it’s often hyperbole, sometimes the over-the-top praise truly fits the bill. With today’s featured band, you cannot throw too many superlatives at how remarkable and how much of an influence they had on history. A guy by the name of Jimi Hendrix arrived to England in September of 1966. He quickly formed a backup band consisting of a bassist and drummer and began looking for gigs. Their business manager coined the name “The Jimi Hendrix Experience” and that’s what was put on the early playbills. Only a month after landing, they had their first show in France and six days later their first in England. Capitalizing on the “power trio” format that was popular at the time, the band began taking off. Hendrix was such an enigma on the guitar; he could do things that made it seem like ten guitars were playing at once—quite a differentiation. Iconic bands like The Beatles, Rolling Stones, and The Who would often show up at their early shows, wanting to see what the buzz was all about. Their blend of psychedelic rock, blues, R&B and some harder rock was unprecedented and really drew in the ears of fans spanning many walks of life. Determining they shouldn’t waste any time, The Experience put out their first record in August of 1967. Response was so positive another came out in January of 1968. 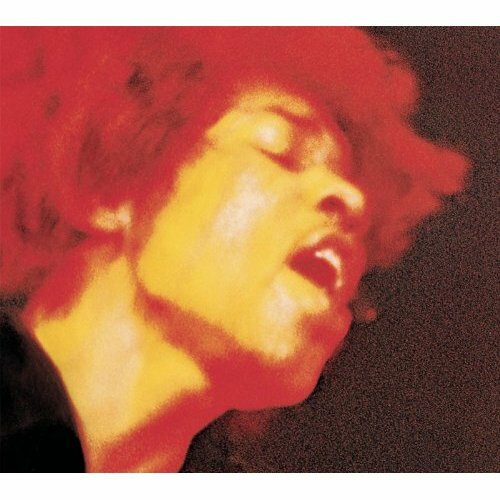 Today I’m listening to the third studio release Electric Ladyland which debuted in October of 1968. It was released as a double album, something that shocked fans due to the massive amounts of music delivered in such a short time. It also was the only of the trio to be produced by Jimi himself. Response was immediate. Sales were solid and the album went to number one on the charts for two weeks. Recording proved difficult as Jimi was a perfectionist and struggled enjoying the sound of his own vocal. Some tracks were reported to have been recorded over 50 times to “get everything just right.” Critically, it was just a massive hit. Literally every single review I can see is 5 stars or 10/10. Rolling Stone has this at #55 on their 500 best of all-time list and Q Magazine indicted it was in the top 100 as well. Simply put, Jimi’s music is art—but also some of the best music ever created. The things he was doing on the guitar in the late ‘60s made some of the best guitarists in the world bemoan over how they should be improving. In basically twelve months, three albums were released and all of them maintain their popularity to this day. The Experience sold roughly 20 million albums worldwide in that short timeframe and were inducted to the Rock and Roll Hall of Fame in 2003. The greatness didn’t start and stop with the music either. They were known for their outstanding live performances, believing in the concept of entertainment. Jimi would smash guitars, light them on fire and various other things that made the crowd go bananas. Not having the privilege to be around in his time, the music is the biggest impact for me, and I don’t think I go more than a few weeks without listening to a Jimi album at least once or twice. Sadly, the band broke up citing creative differences shortly after this was released, and Jimi passed away roughly one year later at 27 years old. Noel Redding and Mitch Mitchell also passed away in the 2000’s, the entire Experience was lost too soon. Without question they left their mark on the music world and influenced thousands of bands with their short, but amazing tenure. Electric Ladyland is a steal for $5 bucks today, and hopefully reminds you of one of the greatest acts to ever hit the studio. Hit series, star-studded movies—all for only $10.99/mo.